Is Career Services a placement office? No, Career Services provides information on job openings and employers and will assist your son/daughter in finding suitable employment. Career Service also offers information on interviewing, resumes and professionalism that will guide your son/daughter to succeed. How many hours a week should my son/daughter work starting out in college? Typically new students should limit themselves to no more than 25 hours a week. This also depends on the student, class load and other extracurricular activities in which they participate, and if they are available during the weekends. As students further their education some work close to 40 hours a week. How easy is it to find a job in Lima, OH? It is not hard to find a job in the Lima area as long as your son/daughter is willing to apply for any and all jobs available. This means not limiting themselves by not applying for jobs at retail stores or restaurants and being willing to work on weekends. Employers in the Lima area know that students' first obligation is their school work and try to accommodate their school schedule. How can Career Services help my son/daughter find employment once they have graduated? First of all, Career Services can help your son/daughter with their resume. A resume is an advertisement of their qualifications and skills. Then Career Services can educate them on interviewing skills through a seminar or one on one with one of the Directors. They also provide job searches for students and alumni. With our Career Magnet website, students register themselves and then have the opportunity to post their resume, search job openings and contact employers directly. 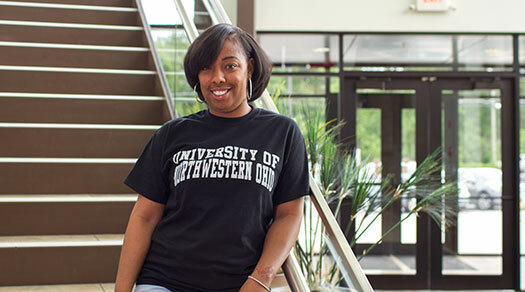 What does Career Services do for UNOH Students/Alumni? As a UNOH student/alumnus you have the ability to contact Career Services at anytime during or after you graduate. This is part of your Lifetime Assistance that we provide to you. Lifetime assistance means we will help with job searches, you can access our employment database (Career Magnet) for a lifetime and obtain valuable information covering resumes, interviewing and professionalism. We also provide free to you, seminars that will enhance your strategy for finding your career - "Resume Revival", "Interviewing Skills", "Career Hunting - Internet Searches", "Business Etiquette", and "Career Planning". These are held on campus and will be posted for times, dates and location. If you are having trouble writing your own resume, you can ask us for help! We offer a resume service, where we create your resume for you, put it on professional resume paper keep it on file and will update it at anytime for you. There is a small fee for this service. Where can I find a listing of jobs? You can log on to Career Magnet for a complete listing of positions for the local and national areas. We have employers' postings positions everyday. Also, Career Services prints copies of the job listings as well as the classifieds from the Lima News Sunday edition every Monday and are available outside of Career Service offices located in the 200 Building. What are Work Study positions? And where can I apply for them? From time to time departments on campus have a need for extra help. 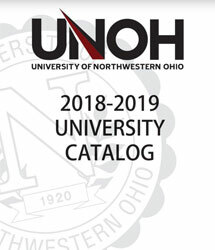 The Federal Government and UNOH fund a program where we hire students to work on campus as long as they meet certain criteria. Those criteria include: must be a full time student, must keep a 2.0 or higher GPA (if it falls below, they are subject to termination), and must file a FAFSA with Financial Aid. Not everyone who applies for Work Study will be eligible, but those who are need only to fill out one application for all positions available. There will not always be positions readily available, when positions open up they will be posted on Career Magnet and on the campus job boards. The departments who interview and hire look at availability, class schedules, and attendance when considering employees. Since these are UNOH positions, we look for those who are willing to work. These positions pay minimum wage and are limited to working a maximum of 25 hours per week. You can pick up an application in Career Services, located in the 200 Building/Student Services. How can I better prepare myself for my career path? There are many ways you can prepare yourself before graduating and pursuing your chosen career path. One, you can stop by one of our many Career Services Success Seminars which are held at various times on campus throughout each quarter/session. Two, you can contact Career Services to schedule a one-on-one session with one of the Directors to assist you with your career needs. Three, you can register yourself on Career Magnet and upload your resume for easy searching and employer contact. Just make sure you stop by Career Services. What are some of the reasons employers are not hiring me? There could be a few reasons why employers have moved on or have hired someone else. Many times job seekers who are successful have turned in a resume and stayed in contact about the position afterwards. If you drop off an application and hope they call you, they probably will not. Contact the employer and tell them you are still very interested in a position with their company. Until they say no, keep trying. Make sure you are dressed appropriately when picking up the application, as well as dropping it back off. DO NOT have someone else pick it up or drop it back off for you, AND go by yourself. This shows that you are not only professional, but are wiling to go the extra mile to get the job. Limiting yourself to not working on weekends will have employers passing you by too. Make sure you know what your schedule is for school and have that available when applying for positions and interviewing. Make sure when you talk to employers you speak clearly and precisely. Let them know your intentions of working, when you will be done with school, if you are going home for holidays and special occasions. What does Career Services do for employers? Several things! We provide information about graduates, allow free posting of positions, invite you on campus to speak to students, hold (free) Career Fairs for both the College of Technologies and the College of Business, pre-screen applicants for you, allow you to interview here on campus for your open positions, and get recommendations from instructors. You can post your job openings on our Career Magnet or contact Career Services and we can post it for you. If you are interested in posting a job with Career Services please call or email one of the Directors and they can provide you with the instructions for posting to Career Magnet. How can I participate in Career Fairs on campus? How often do they occur? All information on upcoming Career Fairs is posted on Career Magnet. There is a page where you can register for any Career Fair. You can also request information on Career Fairs from the Co-Directors of Career Services by emailing or calling them directly. We hold our Career Tech Days twice a year, once in the spring and once in the fall. We hold our Business Career Fair once a year. If I have an open position posted and I have not had many inquiries, what should I do? If you have not received many resumes/applications for a job you have posted with Career Services contact one of the Directors and they can email all students and let them know of the opportunity you currently have and they can contact instructors to get referrals on students with the qualifications to fill your open position. You can also request an on campus visit where you can do on-the-spot interviews. Career Services will provide you with an office and we will have students sign up for an interview prior to your visit. Again, all of these services are free to you.